The House at the Golden Ring is located on Týnská Street near Old Town Square. 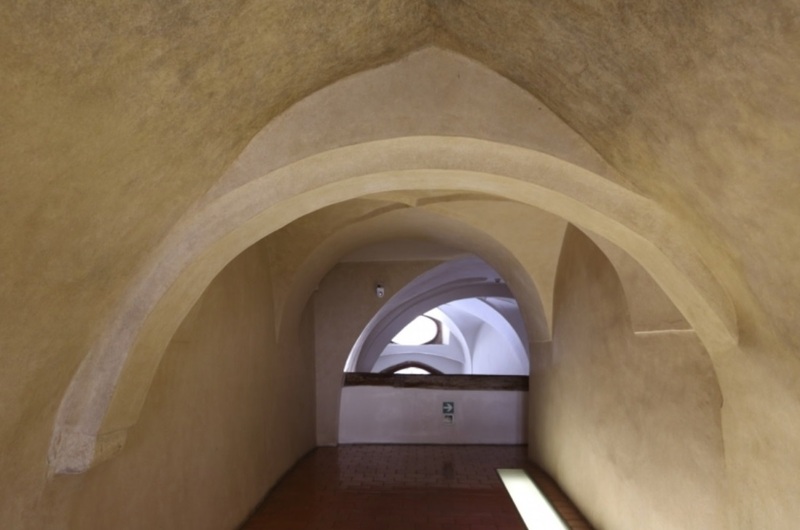 Its extremely segmented appearance, created by joining two separate medieval buildings, allows curators to create a very diverse exhibition, where each of the rooms gives you a different impression. During Easter holiday 2019, House at the Golden Ring is open. Týnská Lane, one of the oldest streets in the Old Town, used to lead from the Old Town Square to Týn or Ungelt, the old estate for foreign merchants, who could safely store their goods here, pay the customs fees and spend the night. The house is called according to its house emblem - a golden ring, which was added probably in the 1st quarter of the 17th century. Legend says the ring was lost by one of the Old Town ghosts during its night-time gaieties. A superstitious burgess citizen of the Týnská Lane, who found it, hanged it above his house’s gate to ensure protection against evil powers, which the ring as a closed circle can provide. Originally, there was a Gothic house in this place, of which the main entrance portal has been preserved, together with the entrance lounge and several small fragments. It was a beer house and a wine house. The oldest reference to the house dates back to the 14th century, and is connected with the names of Dětřich Rechcer and later the Prague portreeve of the wine hills named Tomášek. In the 16th century, the house was owned by Jan Kaše of Adam and Lukáš and after the Battle of Bílá hora by Šimon, called the Ring. The house was markedly changed during a Renaissance reconstruction around 1609. It was beautiful for its valuable arcade yard with Tuscan pillars, vaults, etc. The house is very narrow and prolonged. On the left, it borders upon the house of Václav Budovec, one of the twenty seven decapitated Bohemian noblemen. Later on, the object was affected by Baroque reconstruction too. 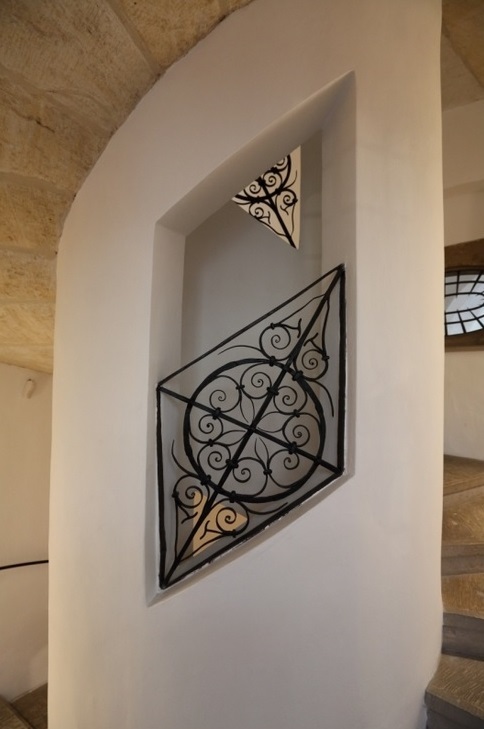 There was a general reconstruction in the 1990s to suit the needs of the Gallery of the Capital City of Prague. The Renaissance layout was respected, and also the Gothic features were preserved. Two preserved wooden ceilings were restored by Jindřich Růžička. The older ceiling is late-Gothic, only bearing hints of colours, and is located in the cross yard tract on the first floor. On the same floor, right next to the Renaissance staircase in the entrance wing, there is a somewhat younger ceiling with two preserved layers of paint, Renaissance and figural motives. 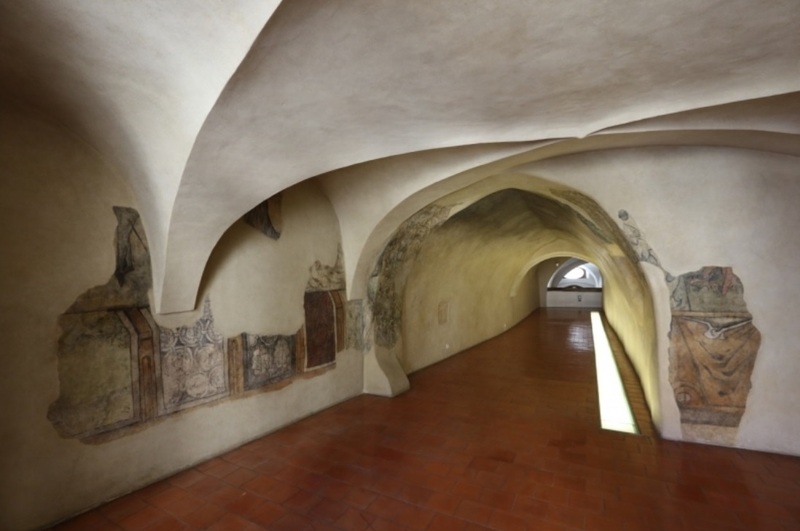 Preserved paintings in the narrow vaulted corridor in the mezzanine were adapted by the restorers of the Kubát family. Two elevators were installed here, thus ensuring the barrier-free character of the building. The entrance gate with the grille and the dolly and the boy, made according to preserved gates in Dlouhá Street. Reconstruction of the building was completed by a prominent architect Vlado Milunič. 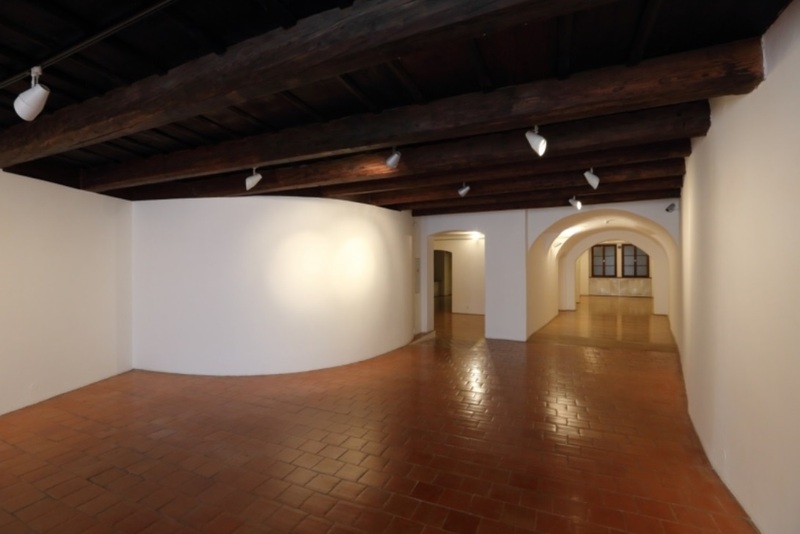 The City Gallery thus acquired an exhibitory area of 1350 m2 for its collections. The newly restored premises were opened in 1998.